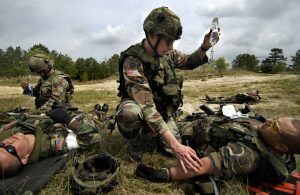 Combat medics play a unique role in today’s modern military. Not only must they be experts in battlefield medicine, they must also remain proficient in tactical skills such as patrolling and guard duty. They frequently witness injuries and death and are often exposed to personal threats of trauma. Medics on the battlefield must render aid to those injured while exposing themselves to danger. While under attack, medics must fight alongside their fellow soldiers. Because of this double-duty role, combat medics often face stressors that other military specialties do not. Military medics are at high risk for burnout, compassion fatigue, combat stress, and Medic PTSD. 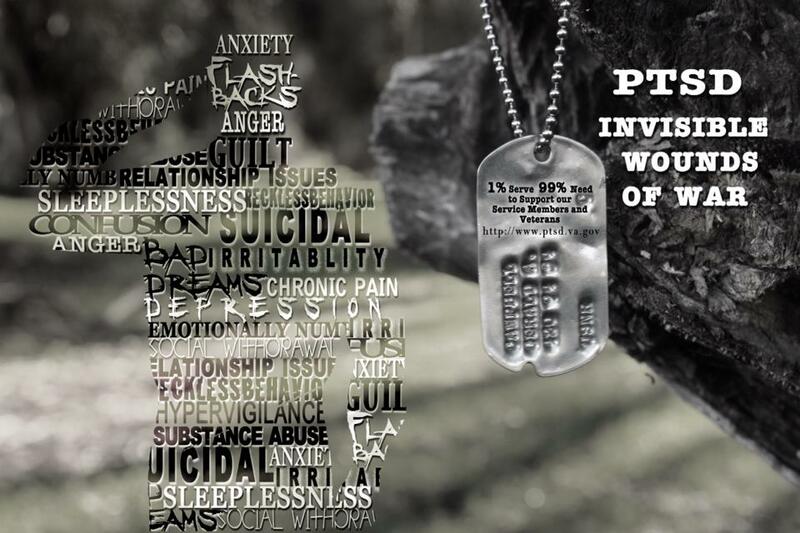 PTSD is a cluster of symptoms that can occur following a traumatic event. The symptoms can include: reliving the event, avoiding situations that remind you of an event, feeling on edge, nightmares, or difficulty sleeping. These stress reactions are common after a traumatic event and will usually subside in a couple of months; however, Medics with PTSD can experience these symptoms even years after the event occurs. 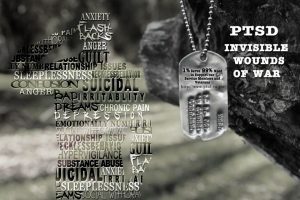 The National Center for PTSD estimates that 11-20% of veterans who served in Operations Iraqi Freedom (OIF) and Enduring Freedom (OEF) have PTSD in a given year. Due to the complex nature of PTSD, hidden dangers exist. Besides the typical symptoms listed previously, many medics experience depression, anxiety, marital problems, and substance abuse. Many veterans with PTSD self-medicate with alcohol, prescription medication, or illicit drugs. After repeated use of these substances, they can develop Substance Use Disorder (SUD). Studies have shown a strong correlation between SUD and Medic PTSD. According to the Veterans Affairs, about 2 out of 10 veterans with PTSD also have SUD. They also report that combat veterans with alcohol problems tend to be binge drinkers; this is often due to traumatic memories, trouble sleeping, or constantly feeling “on guard”. In 2008, up to 27 percent of veterans with high combat exposure reported binge drinking every week in the prior month. Many veterans feel that drinking might calm some of their PTSD symptoms; however, using drugs or alcohol only complicates Medic PTSD and makes the symptoms worse. PTSD does not resolve on its own. Symptoms do not simply disappear as time goes by. Almost all cases of PTSD require some form of treatment. Military culture requires that its members be strong, courageous, and to work hard regardless the environment. This has led to stigmatization associated with receiving mental health care. Many military personnel feel that seeking help is a sign of weakness or that their comrades and leadership will no longer have faith in them. Another misperception is that the only help available is one on one counseling or a combination of medication. There are many treatment options available. Besides the traditional individual counseling and medication therapy, options include group therapy, Eye Movement Desensitization and Reprocessing (EMDR), Prolonged Exposure (PE) therapy, and peer support progra ms. Peer support programs are popular among the combat medic community. Medics often feel that others cannot comprehend what they experienced and witnessed while at war. A peer support program connects people that have shared similar experiences. Not only have they similar experiences, they are active in their recovery from PTSD and/or SUD. There are many advantages to peer support programs. These include: gaining new perspectives about how to deal with day to day problems, knowing that others experience similar challenges, and learning how to talk about these issues. Many veterans feel more comfortable talking to a peer than to a counselor or psychologist. Meeting with a peer specialist is often less formal and more conversational than meeting with a therapist. Peer support programs can offer services in a group or a one on one setting. Many organizations offer peer support programs for veterans or those still in active service. Frontline Responder Services is one such organization. Frontline specializes in providing services to First Responders: firefighters, military, police, and EMS. Clients seeking services receive a comprehensive assessment to create an individualized treatment plan. Because PTSD and addiction not only affect the veteran but also family members, Frontline Responder Services offers support to those closest to the veteran. All treatment is confidential in nature. It is unfortunate that many veterans who return home from war also bring home the psychological wounds of combat. Many veterans never seek help and have difficulties readjusting to civilian life. It is important that they understand that they are not the only one experiencing these symptoms and there are many options available to them. Although research has shown that early detection and treatment can reduce the symptoms of PTSD and SUD, it is never too late to get help. Chapman, P., Elnitsky, C., Pitts, B., Figley, C., Thurman, R., & Unwin, B. 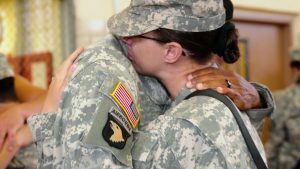 Mental Health, Help Seeking, and Stigma and Barriers to Care Among 3- and 12-Month Postdeployed and Never Deployed U.S. Army Combat Medics. Military Medicine. 2014;179(8):55-62. Read our testimonials or watch the video on our New Jersey Location page to hear testimonials from counselors and clients. Our mission is to provide comprehensive and effective counseling services to adults who are experiencing addiction to alcohol and other drugs (including, cocaine, heroin, methamphetamine, and prescription drugs). At Advanced Health, each patient is assigned a team of therapists to plan, implement, and monitor every phase of the recovery process. 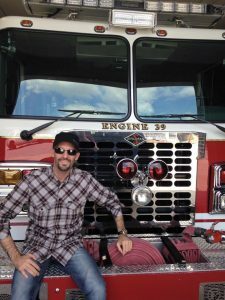 At Advanced Health, we acknowledge and understand the underlying sources of a First Responders’ reaction to the stresses of everyday life…and support their path back to their family and job.